Just a few days back we received series of mails from our amazing subscribers requesting for an easy and fast solution to the iTunes playlists missing problem. A dedicated reader sent in a mail narrating his ordeal. He had just happily updated his iTunes, then came the sad news; every single playlist he has worked hard to create for so many years had just disappeared within a blink of an eye after the update. What was left? Zero playlist and a confused mind. If you had just updated your iTunes, only to find all your iTunes playlists gone or you accidentally deleted a favorite playlist, then I advise that you read on to find out the best solution to iTunes playlists gone. Now, there are dozens of ways on the internet on how to recover missing iTunes playlist, but most of them are either less effective or so complicated that you’ll eventually want to give up. We have come up with a fast, easy, and much more effective method to tackle this problem. iMyFone TunesMate is a robust software masterfully designed for iOS users for managing media files including playlists, music, podcasts, movies, TV shows, etc. This application allows you copy playlists and music from iPhone, iPod, or iPad to your iTunes library fast and easy. 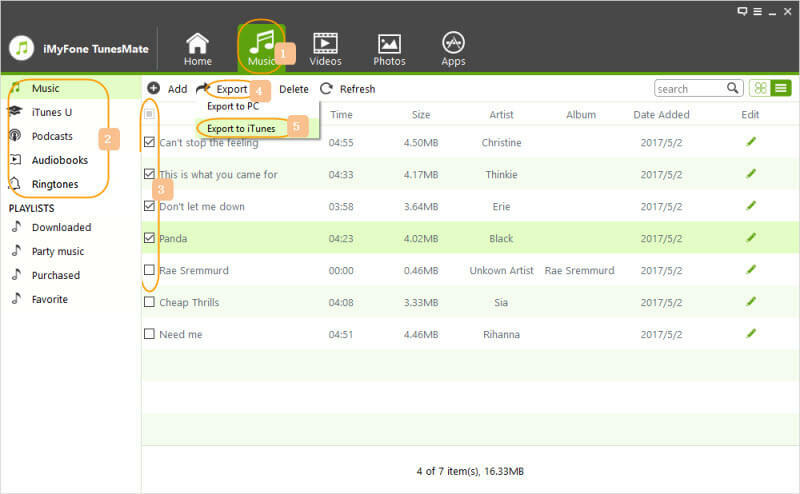 It also allows you transfer your playlists from your iTunes library to iDevices. You can use it to backup your favorite playlists to your computer. You can now transfer files between iPhone and iTunes library or computer without fear of loss of data. 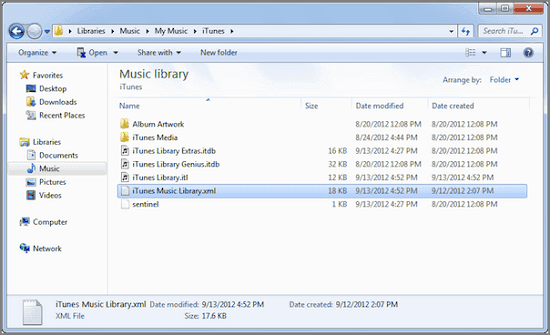 Follow the steps below to easily recover missing iTunes playlists from iPhone, iPad or iPod. Effectively Manage iPhone Playlists: You can instantly create a playlist, add music files to playlists, delete, rename a playlist, import, export, etc. Instantly Restore iTunes Playlists: This software presents a fast way to restore iTunes playlists from iDevices. Transfer of Media Files from iPhone and to iPhone: TunesMate allows you to transfer media files to your iPhone without the risk of wiping existing data. Multiple Data Supported: Supports the transfer of playlists, music, photos, movies, podcasts, audiobooks, etc. Reputable Software: Countless reviews from reputable media including Geekreply, Getintopc, Tricksworldzz, etc. Step 1. Click iMyFone TunesMate to launch after you download and install it on your computer. Step 2. Connect your idevice with a USB cable. Step 3. When your idevice is recognized, hit "Transfer iDevices Media to iTunes". Step 4. On the pop up window, ensure all the playlists are checked. Step 5. Then tap the "Start" button to begin. Every lost or deleted playlists will now be restored to your iTunes. Step 1. After you download and install TunesMate on your computer, launch it. And then connect your idevice with a USB cable. Step 2. On the screen, hit "Music" tab on the top of the software. Step 3. You can see the playlists are listed. Just click the playlists you want to restore. Step 4. Then you can select the songs in the playlist and hit "Export > Export to iTunes" to restore the playlists to your iTunes library. It won't take you a long time to finish this. Just wait and then check your iTunes playlists. Compare to iTunes, TunesMate is faster and safer. 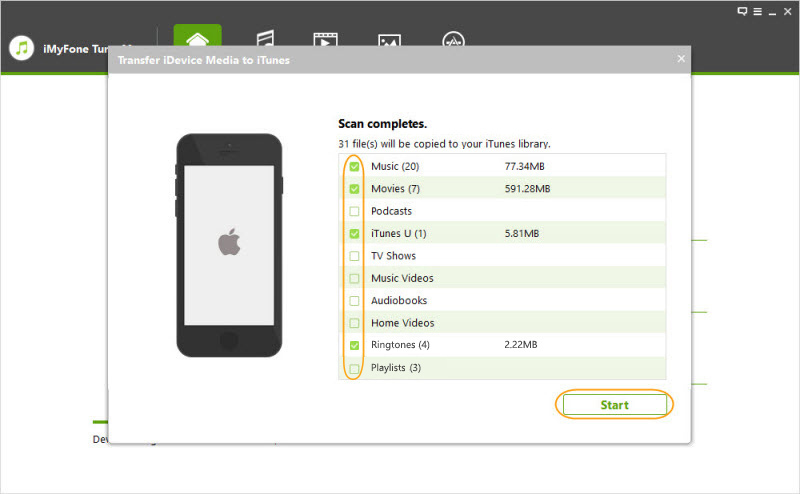 Feel free to download it to get your missing iTunes media back from iDevices. Step 2. 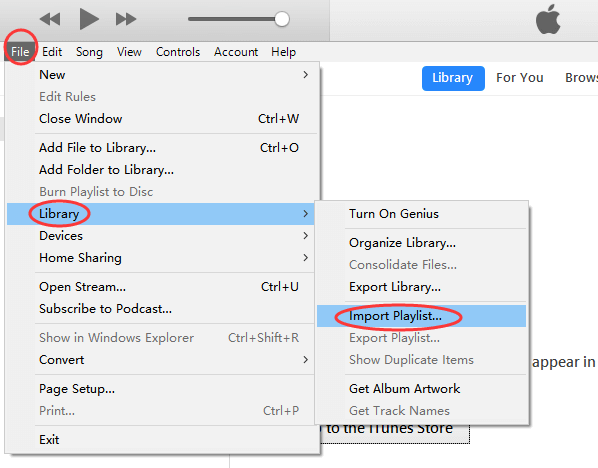 On iTunes, click on "File > Library> Import playlists"
Step 3. Look for the playlists files on your computer or your external storage. Step 4. Just click "Open" to import them to your iTunes. 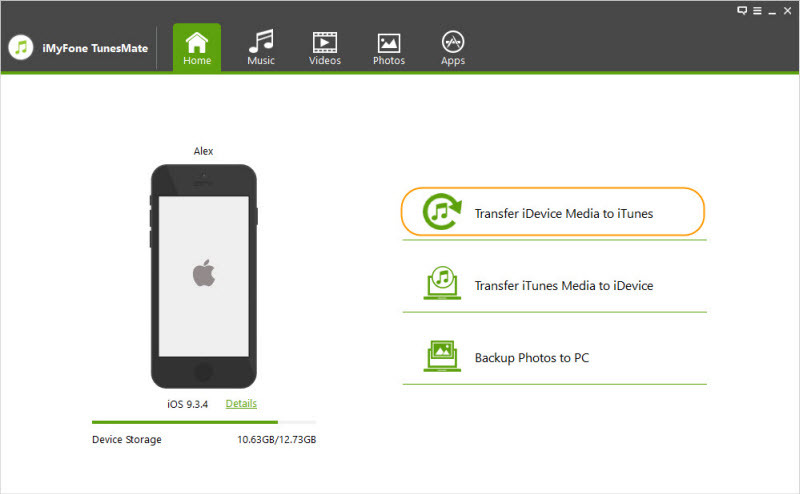 We believe it’s safe to say that it is highly important to backup your iTunes files. So many things could go wrong, and it is impossible to know just how much those files mean to you until they’re all gone. Your iPhone might be attacked by a malware leading to a system crash, you could accidentally delete your iTunes music, videos, podcasts, or playlists(s). Dozens of iOS users out there aren’t really aware of how fast and easy the backup process is. Several others do not know what they stand to lose when something goes wrong. Well, the good news is that it is quite simple to backup your iTunes files with iMyFone TunesMate with just a single click. Don’t wait to lose a file or a complete folder before carrying out a backup, do it today with TunesMate. Let us know if you have any questions, not only the iTunes playlists gone issue, but other problems, we’ll be happy to help.